Asbestos has been around since the beginning of time. While it had been previously used in many products, it was found that some of these would release asbestos particles into the air. This created health hazards such as cancer to lung tissues and mesothelioma. As a result, fear is invoked into the minds when we hear the word, “asbestos”, and rightly so. However, one must realize that not all products containing asbestos release those particles into the air. This can be the case when buying a home with asbestos. These two terms are applied when considering health risks of asbestos. It’s important to understand these terms if you’re buying a home with asbestos siding or other materials. Asbestos is a hazard, as are Electromagneitc Radiation (coming from appliances and power lines), gasoline fumes, etc. However, we have learned to live with such hazards, safely. According to the EPA Standards and Guidelines, we can handle asbestos without the need of going into a panic. Again, the safest method is to leave it undisturbed, much like we would a sleeping lion. If we feel we must do something, the EPA has several websites with information about asbestos abatement. There are also contractors trained in the safe handling and disposal of this product. However, if the home you are buying just has asbestos siding, there should be little to no concern over this. So, if I found a house with asbestos siding or insulation would I live in it? Absolutely. Would I be afraid to sell or buy a home with asbestos siding? No. 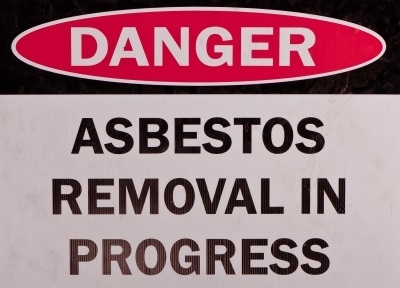 Would I sell a home that contained asbestos to my children or grandchildren? Yes. Should you be concerned if a home you want to buy contains asbestos? That is a personal question that only you can answer. Asbestos is still in some products. It will not be eliminated. Still, we know gas fumes are dangerous, but we continue to pump it into our vehicles every day. The minimum exposure from such is nominal. Such can be the case with Asbestos. If you understand the difference between Friable and Non-Friable, you may well find that your home containing asbestos may not be a problem. Here are a few more resources with information on homes containing asbestos.